Home Tags Posts tagged with "Rubber Bands"
If you take a look at the young woman to the left, you’ll notice that she has blue colored rubber bands that attach the orthodontic wire to her braces. You may also notice that it is one long, continuous band. This is known as a power chain. Most braces currently used require a rubber band, known as a ligature, to hold the orthodontic wire inside of the braces. To learn more about why these rubber bands are necessary, you can read an article I wrote a few months ago about why you have to have rubber bands on each tooth with braces. Below is a close-up photo that illustrates the difference between the normal rubber bands (ligatures) and the power chain. This teenage girl has a power chain on the top teeth and regular ligatures on the bottom teeth. She also loves hot pink! Now that you’ve seen the difference, what you’re probably wondering is why on earth the orthodontist would put that on your braces. View 60 Photos of Teenagers with Braces to see more photos of teenagers wearing power chains on their braces. To make sure that your teeth don’t move apart. To help close gaps between your teeth. If your dentist needs to move your teeth, and he or she is worried that when they move, you’ll get a gap, then your orthodontist will use a power chain to make sure that you don’t get a gap in between your teeth. The power chain can snugly hold your teeth together. If you have gaps between your teeth, power chains are a good way to help pull the teeth together and close the gaps. 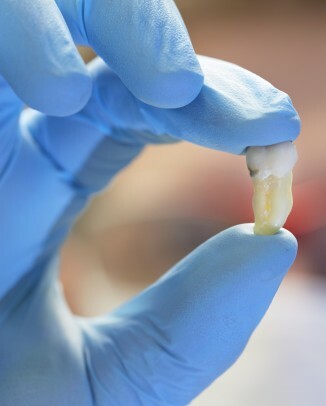 Will Power Chains Hurt Your Teeth? Power chains do cause some mild discomfort, just like braces do. They might be uncomfortable for the first few days, but your teeth will shortly adjust to them and then your pain should decrease. What Colors of Power Chains Can You Get For Your Braces? Power chains, just like ligatures, come in a variety of colors. If you’re curious about what colors you can get on your braces, read my article about what colors of braces you can get. At the orthodontic clinic at my dental school, I don’t think we have quite as many colors for the power chains as we do for the regular ligatures. However, your orthodontist might have a better selection. Just ask, and I’m sure they’d love to show you the variety of colors you can get! Have you ever had a power chain on your braces? What did you think of it? Do you have any questions or comments about this article? Feel free to submit a comment using the form below. Not too long ago, I spent a week of my dental school career in the orthodontics department, helping the future orthodontists to straighten people’s teeth. 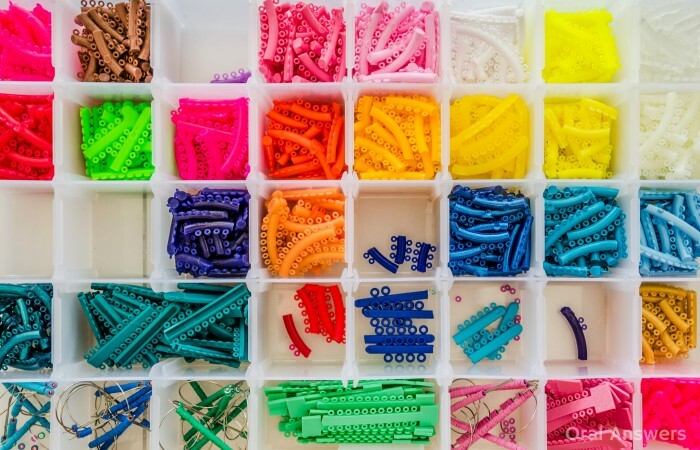 A lot of the teenagers’ favorite part of their appointment was at the very end when they got to choose what color their braces would be for the few weeks until their next appointment. One dedicated high school football player wanted the colors of his school — they had lost their last game, and he was hoping that his braces would bring his team a much-wanted victory. It was interesting to look at the psychology behind the color choices. Everybody that told me what color they wanted felt like they had to justify their color choice. Some people chose their favorite color or just a color to match their mood. If you’re wondering why people with braces need those colored bands in the first place, read my previous article about why you have to have rubber bands on each tooth with braces. At my dental school, we use the 3M Unitek Alastik brand of braces bands. 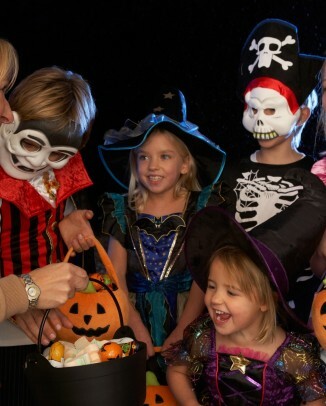 3M is a pretty popular brand among orthodontists. If your orthodontist uses another brand and you want to know which colors are available for your braces, just ask. 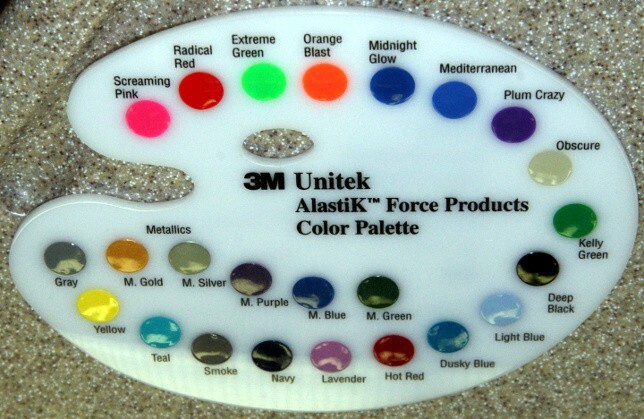 Most orthodontists want to keep their patients happy and are willing to show you all of the available color options. 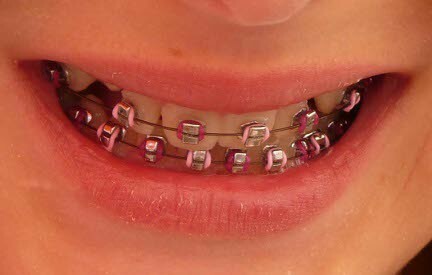 Read the article 60 Photos of Teenagers with Braces to see what people look like with different colors of braces. As I mentioned in my previous article about the colored bands on braces, there are a couple of different types of braces. One type has a metal door that locks in the orthodontic wire, known as self-ligating braces, and the other type holds the wire in with a tiny, colored rubber band. If you have the self-ligating variety of braces, you won’t be able to choose a color as the braces automatically hold in the wire. What Do You Think of Colored Braces? When I had my braces, I had the self-ligating type, so I never got to choose a color to spruce up the look of my braces. Do you find colored braces distracting or do you like them? If you have braces, what makes you decide what color to choose? Leave your opinions below in the comments section! 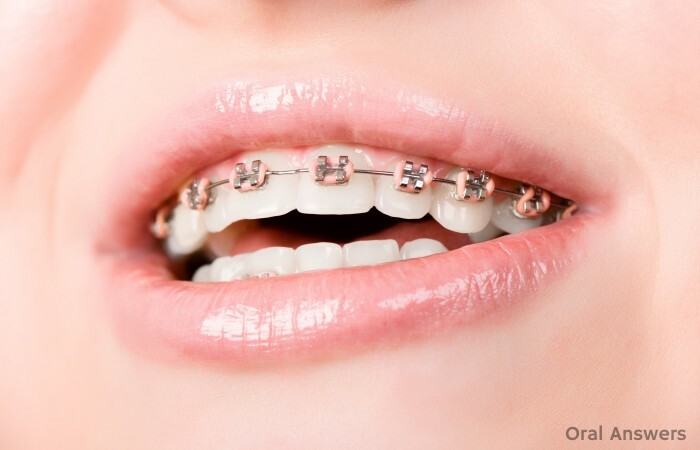 Why do some people have rubber bands around each individual piece of metal on each tooth when they have braces? I thought that rubber bands were used to try to pull two or more teeth together, so it doesn’t really make sense to me that a rubber band would just be on one tooth since it can’t really provide any force that way to move teeth. Louise’s question is a very good one! The reason the young woman in this picture needs those rubber bands around each bracket is to hold the wire inside the bracket. 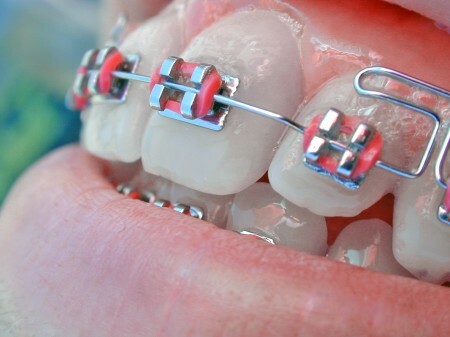 There are a couple main types of brackets used for braces: Those that buydiazepambest.com snap shut to hold the wire in, and those that need a rubber band to hold the wire in. Some types of braces that require a rubber band to secure them to the wire use just one long rubber band that goes in figure-8’s around all of the teeth in an arch. 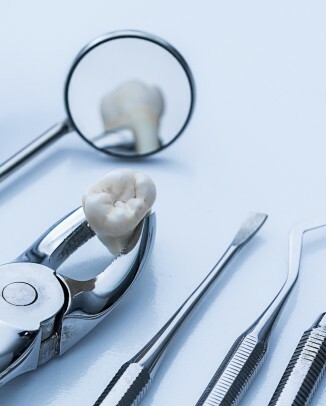 Either way, it is very important to hold the wire inside the bracket since the wire is what controls the movement of the teeth in most orthodontic cases. Without it the wire would not be secured. So, you see, the answer to Louise’s question is pretty straightforward. 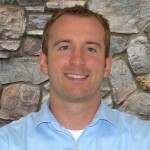 Do you have any questions about braces or any other dental topic? Just use the ask a question form and send it to me. I will either respond via email or feature your question on Oral Answers! As always, if you have any comments or questions about this article, you can leave a comment below!